Painting had never been so real, professional and economical. 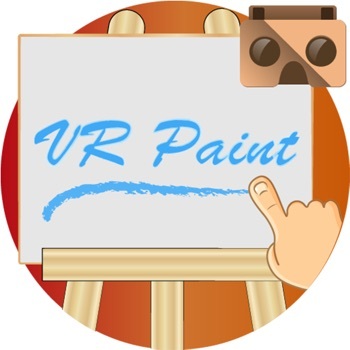 VR Paint is a perfect application for all those who love the art of painting by hand, designed for users of all levels. The most innovative drawing game. Paint like the pros, graphic tablet, easel and canvas! All in a simple way. * 2 Put it in your glasses of Virtual Reality, and enjoy the most Real painting. This is a wonderful and amazing application. This is very simple and useful for all age groups. The user simply draws with his hand on a mobile device (Tablet or phone), as if it were a professional graphic tablet. 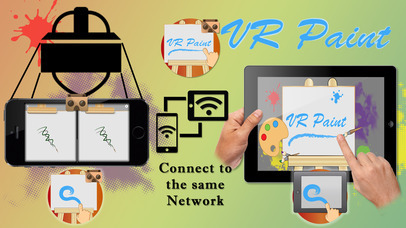 With another device in your VR glasses, enjoy the feeling of drawing like you have a canvas in front of you! Do you like to draw? Then this app is for you! Get the pleasure of drawing on your phone's screen! It is a very simple drawing application! You have complete control of drawing, color, and brush size! You can draw beautiful pictures and have fun! That is all!